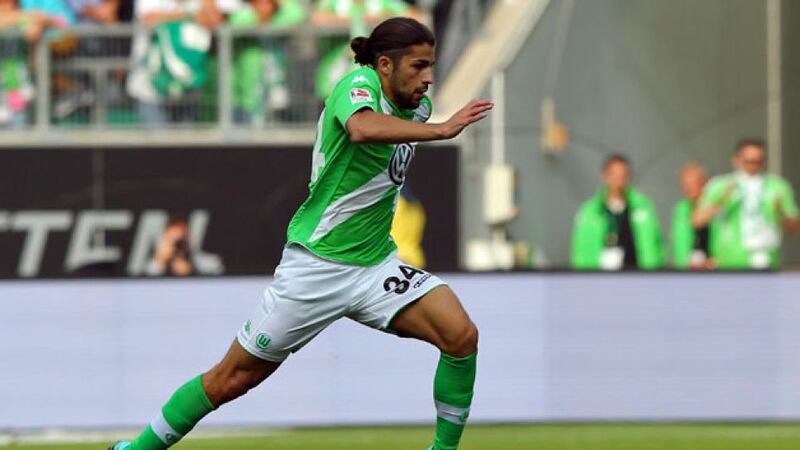 Wolfsburg - Ricardo Rodriguez seems tailor-made for VfL Wolfsburg. The Swiss international's off-field fighting talk is a perfect reflection of Dieter Hecking's second-placed side's on-field bite. bundesliga.com: Ricardo Rodriguez, before the start of the Rückrunde, you said that you were dreaming of winning the Bundesliga. Since then, Bayern's lead at the top has been cut from 11 to eight points. What are Wolfsburg's chances of winning the title? Ricardo Rodriguez: In football, everything is possible, but Bayern have a strong team and their advantage is still very large. Even if it's a statement you hear over and over again, we're only thinking from game to game and just want to win every match. I wouldn't want to look too much further ahead. bundesliga.com: Did the margin of the 4-1 win against Bayern give the team more confidence in their own ability? Rodriguez: We obviously put in a really good performance. Every team in the league wants to beat Bayern but we were the first ones to manage it this season. That certainly gives you self-confidence. bundesliga.com: You have a nine-point advantage over Saturday's Matchday 21 opponents, Bayer 04 Leverkusen. Do Wolfsburg go into the match as favourites? Rodriguez: That might be the case if you only focus on the table. But it's always difficult to play in Leverkusen because they also have a very good team. Having said that, we obviously want to win the game. bundesliga.com: Dieter Hecking has said that the squad offers him 'a huge choice' and that there are two players for every position. Do you notice that in training and in games? Rodriguez: We play at a very high level in training. Everyone is really motivated and wants to play, but of course only 11 players can be on the pitch. The competition for places is really noticeable. bundesliga.com: The competition doesn't seem to affect the team spirit, however: Andre Schürrle mentioned at his unveiling how many players offered to show him around the city immediately after his arrival. How has he settled into the team? Rodriguez: We're a really good unit. Andre has already integrated really well in a short space of time. The team has welcomed him with open arms and he's already an important player for us, a player who makes us even better. bundesliga.com: With Schürrle, Kevin De Bruyne and Bas Dost, would you say Wolfsburg have a 'magisches Dreieck' (magic triangle) in attack? Rodriguez:(Laughing.) Bas, Andre and Kevin are fantastic players, but we've got more good options going forward. I'm thinking of Ivan Perisic, who got injured recently, Vieirinha and Daniel Caligiuri, who have contributed their part to this season's success so far. bundesliga.com:Xizhe Zhang also joined Wolfsburg this winter. What have you made of him as both a player and a person? Rodriguez: He's technically strong, with a good range of passing and vision. He obviously has to adapt first, but he's really eager to learn. For that reason alone, I think he'll go far. bundesliga.com: You decided this winter to extend your contract until 2019, despite offers from all over Europe. What made you reach that decision? Rodriguez: I've been here for three years now and feel very comfortable at Wolfsburg. I got advice from those closest to me and decided in favour of Wolfsburg. bundesliga.com: When your contract extension was made public you said: "I still want to achieve a lot and we can do that at this club." Can Wolfsburg establish themselves in the long term as the number one side in Germany and go on to win the UEFA Champions League? Rodriguez: I don't want to think too far ahead. We're a good team. If we keep working well together, then we can still achieve a lot more. bundesliga.com: The coach has praised you very highly indeed, describing you as "one of the best left backs around". Can you play even better than you have done so far this season? If so, what areas of your game are you working on in training? Rodriguez: I'm really pleased with the praise from the coach and I always want to improve in all areas. More than anything, it's the little things you always have to work on: making more sprints when going forward, delivering better crosses or keep working on my right foot. bundesliga.com: Along those lines, which players have tested you the most in the Bundesliga so far and in what way? Rodriguez: There are lots of very good players. If I had to single one out, it would be Arjen Robben. When you play against him, you have to be switched on from the very first minute. You always have to be awake and can't relax for a second because he's so quick. Once he's past you, you've got no chance. bundesliga.com: Before the start of the Rückrunde, you said that "Junior [Malanda] up there wants us to fight". Is the team carrying his spirit at the moment? Rodriguez: Obviously, everyone feels it differently. What's certain is that Junior will always be in our hearts and remain a part of this team.